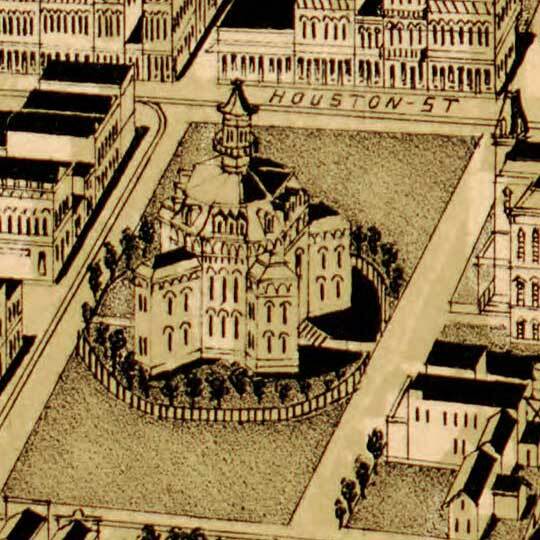 H. Wellge's birdseye map of Fort Worth, Texas in 1891. 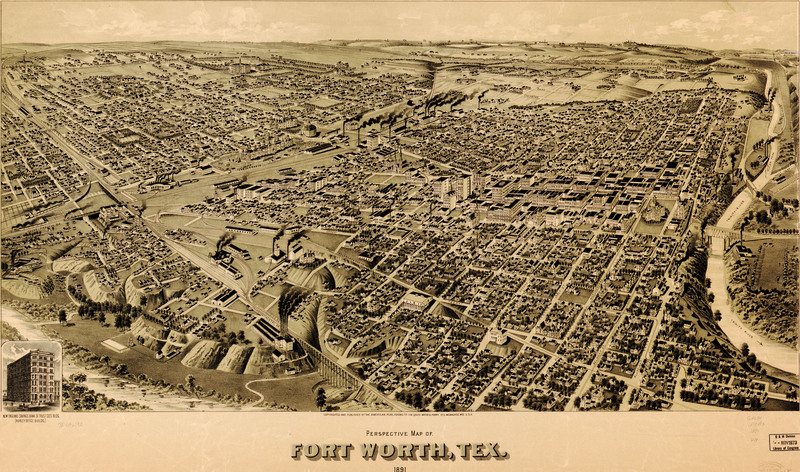 This Wellge map (of Fort Worth, Texas [gmap]) is not one of my favorites. This also doesn't seem to be up to his usual standard. The perspective issues in this image are the most noticeable to me, but there are some other unfortunate choices (to my tastes) as well. I wonder if the artist ever actually came to FW. I found two misspellings in “Wertherford St.” and “Trockmorton”, both of which are still in existence today. The county courthouse still sits on Weatherford St but, the houses on Throckmorton are few if any now in downtown today. I’m sure that Wellge went there; whether or not he stayed up too late one night working on this and made a couple of spelling errors, well… I suppose that’s anyone’s guess. For what it’s worth, on Ruger’s map of Pacific, Missouri he spells the state’s name “Missoury”. So… yeah.